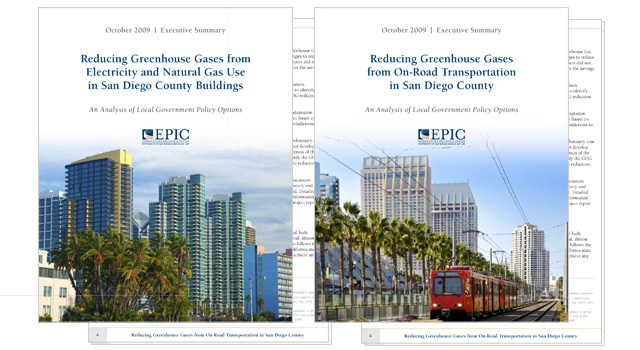 In October of 2009 University of San Diego School of Law Energy Policy Initiatives Center (EPIC) released two executive summaries that I designed. The first one is Reducing Greenhouse Gases from Electricity and Natural Gas Use in San Diego County Buildings. The second, Reducing Greenhouse Gases from On-Road Transportation in San Diego County.